Friendship Tails: Weight loss success for Toby! Weight loss success for Toby! Losing weight is hard. It is hard for us and it's really hard for our pets. Given that fact, I am very excited to report a weight loss success story! 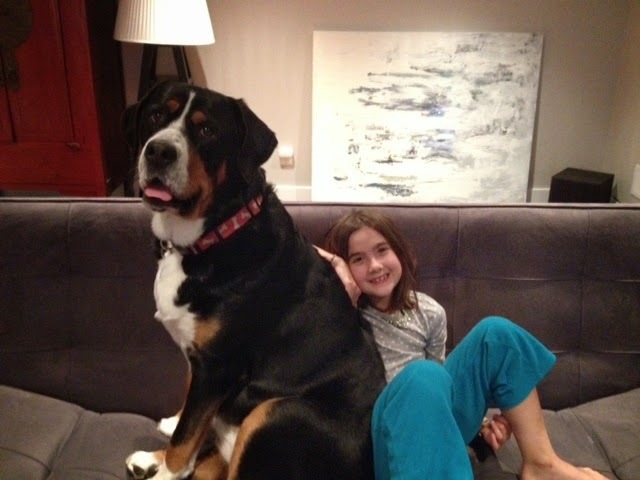 Toby is a 3-year-old Greater Swiss Mountain dog that I have been seeing since she was a tiny puppy. Last spring at her annual exam Toby’s owner and I discussed that she had gained quite a bit of weight over the winter. She was weighing in at 129 pounds and on physical exam she was quite chunky. She was eating an adult formulation of dry food at the correct amount for her body weight. We decided to switch her to a light formula and increase her activity. Toby came back in 6 months for a recheck and had only lost 2 pounds. At this point we switched to Hill’s Prescription Metabolic food and enrolled her in the Hill’s Healthy Weight Protocol. 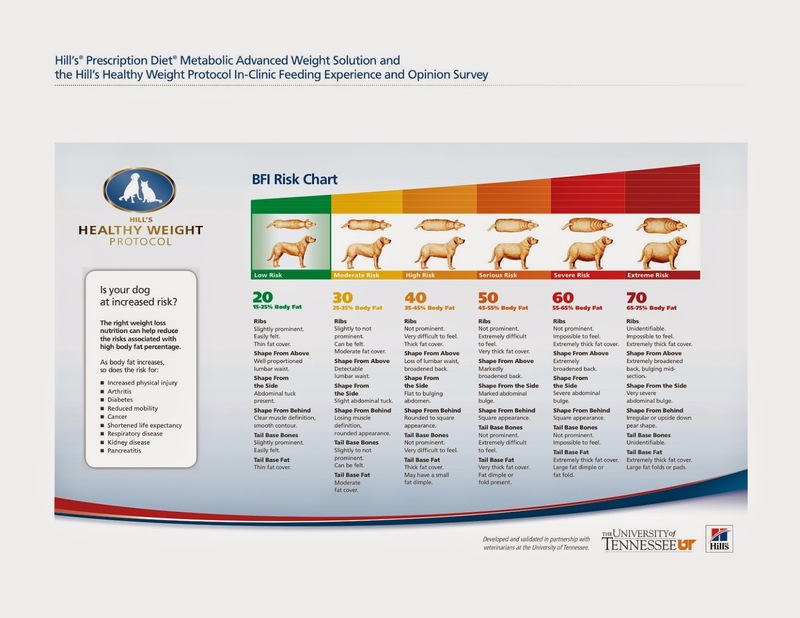 Hill’s created this online program with University of Tennessee to establish a better system for evaluating body fat in overweight animals. The Metabolic diet was designed using nutrigenomics to affect gene expression by working with the animal’s metabolism for more effective weight loss. We started by taking a few measurements and plugging it into the online program which then told me that based on her breed, body measurements and weight Toby’s body fat index was 43% and her ideal weight was 90 pounds. Toby was allowed to eat 1 can and 31/4 cups dry Metabolic prescription food per day. This was a lot more than the 2 cups daily she was allowed on the adult light food. Her owner reported that she loved the food and we were off and running. 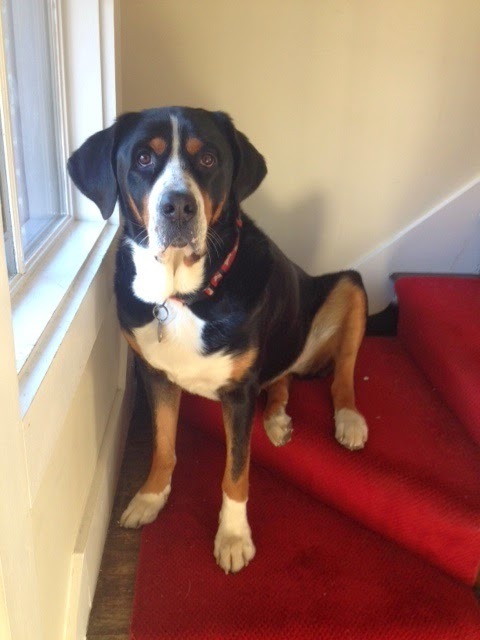 After eating the Hill’s Metabolic for 6 month I am thrilled to report that Toby is down to 112 pounds. That is a loss of 15 pounds! We are going to keep going and try to get down to about 100 pounds, which I think will be ideal for her. Once she reaches her target weight we can continue feeding Metabolic and Toby get even more food each day to maintain her ideal weight. I don’t know many dogs or people who would turn down that deal!